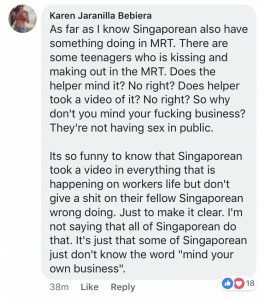 On the Facebook page All Singapore Stuff, a video entitled “Maids and Bangla Mixing It Up” was posted late Monday morning (September 10). 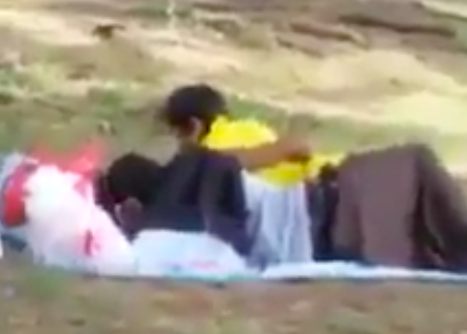 The clip, which is a little more than a minute long, shows couples picnicking and seeming to behave rather intimately, reportedly at Kallang River. 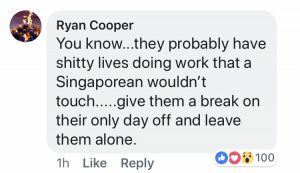 The person who posted the video wrote that the couples are “maids and banglas,” a local term for foreign workers, which is at times used in a derogatory manner. 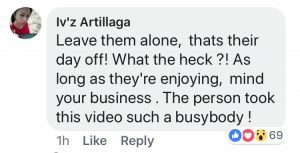 An hour after the video was posted it had gotten over 20,000 views, more than 200 shares, and many netizens decided to weigh in on the matter and answer the questions posted. 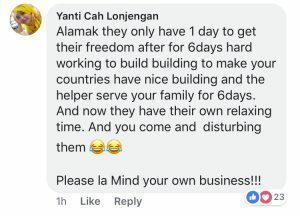 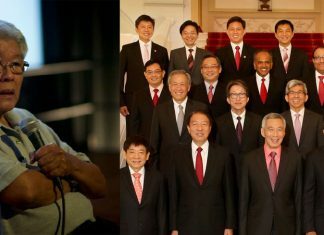 Almost everyone called out the person who took the video, telling them to leave the foreign workers and domestic helpers alone, to mind their own business. 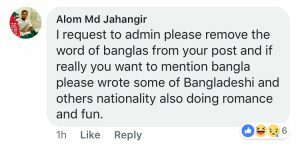 Another netizen objected at the use of the term ‘bangla’ and asked the administrator of the page to change it. 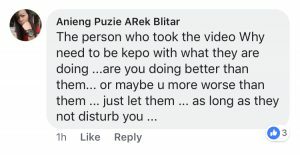 Another expressed his concern over the breach of privacy the person who took the video committed. 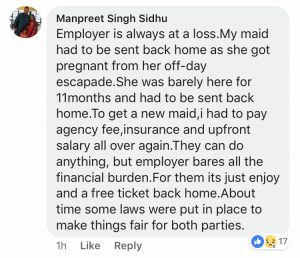 For others, the important issue is that if a domestic worker should get pregnant, it is the employer who is unduly burdened. 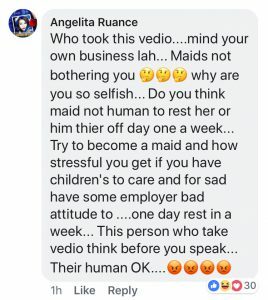 This is understandable, since based on the law, should a domestic worker get pregnant, it is her employer that receives a hefty fine of $5000, since this violates the work permit. 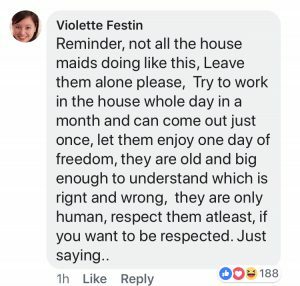 This is most likely one reason why it’s a cause for concern when employers see domestic workers having boyfriends.